Disneymania font here refers to the font used in the logo of Disneymania, which is an American series of compilation albums of classic Disney songs covered by mainstream or Disney Channel artists singing their own rendition or version of the song. 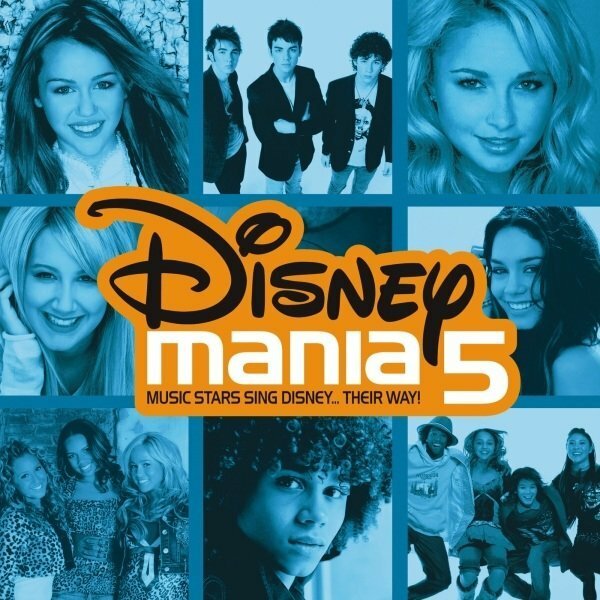 The above image shows the cover artwork of the 5th installment in the Disneymania series, which was released on March 27, 2007. It features the famous Disney script logo and the “mania 5” set in a futuristic looking sans serif, which is probably Handel Gothic. The Handel Gothic font identified above is not available for free, please follow the link above and purchase the font. Meanwhile, you can take a look at our collection of fonts for cars, pop music and apparel as well as round-ups of new & fresh fonts around the web. In addition to Disneymania, Handel Gothic typeface is also used in the following logos, movie posters or album covers etc., including: 24 Hour Fitness Logo, Yu-Gi-Oh Trading Card Game, Nvidia, Wattpad Logo, Close Encounters of the Third Kind.